HomeNew BikesBike NewsWeekly News Roundup: Yamaha R15 V3.0 ABS, Royal Enfield Bullet 500 ABS, Suzuki Gixxer 250 And More! Weekly News Roundup: Yamaha R15 V3.0 ABS, Royal Enfield Bullet 500 ABS, Suzuki Gixxer 250 And More! From multiple ABS updates to leaked patent details, here’s all the two-wheeler news from the last week. 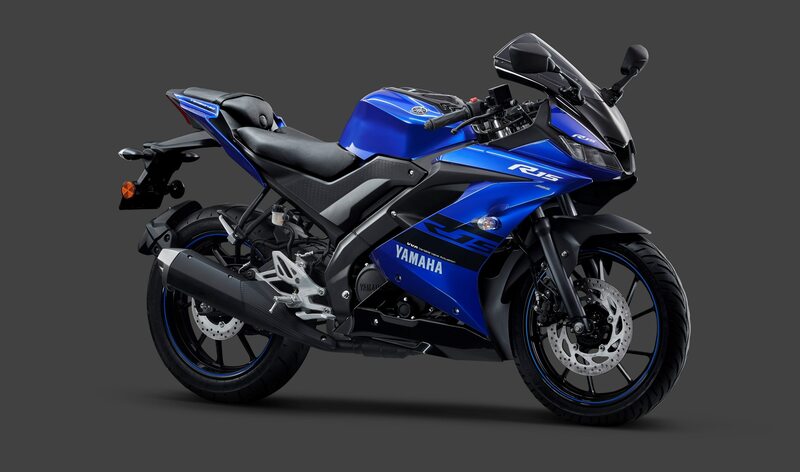 Yamaha has updated the YZF-R15 v3.0 with a dual-channel ABS unit. Priced at Rs 1.39 lakh (ex-showroom Delhi), the ABS variant commands a premium of Rs 12,000 over the standard model. Along with it, Yamaha has also introduced a new paint scheme which commands a premium over other existing colour options - grey and blue. Price and details here. Royal Enfield has also been at it, silently updating its range with ABS, ahead of the 1 April 2019 deadline that is. The brand’s most iconic model range, the Royal Enfield Bullet 500, is the latest to get this update. For the added safety feature, the Chennai-based manufacturer is charging a premium of Rs 14,000 over the standard model, bringing the price to Rs 1.87 lakh (ex-showroom Delhi). Head here for more details and find out which models remain to be updated. Keeping up with the trend, Bajaj has also updated one of its most iconic models, the Bajaj Pulsar 220F, with the safety feature. However, unlike the above two models, the Pulsar 220F gets a single-channel unit along with RLM (Rear wheel lift Mitigation) system. The additions command a premium of Rs 7,600, bringing its total price to Rs 1.05 lakh (ex-showroom Pune). To know more, head here. If you've been waiting for the Gixxer 250, you might have to wait a little longer. While recently leaked images hinted at launch in the near future, our sources have confirmed that the quarter-litre Gixxer may not come before mid-2019. That said, thanks to the leaked images, we have fair idea of the Suzuki Gixxer 250’s engine details. Motorcycle Bluetooth communication device like Sena have always been inaccessible for the masses, thanks to their high asking price. In a bid to make handsfree motorcycle communication more affordable, Steelbird has launched its new helmet called SBA-1 HF. The helmet comes with speakers and a microphone, both of which can be connected to the phone via an aux cable. For pricing and other details, click here. Bajaj will soon be launching the all-new 2019 Dominar 400 in the upcoming months. Read more about it here - 2019 Bajaj Dominar 400: What’s new?